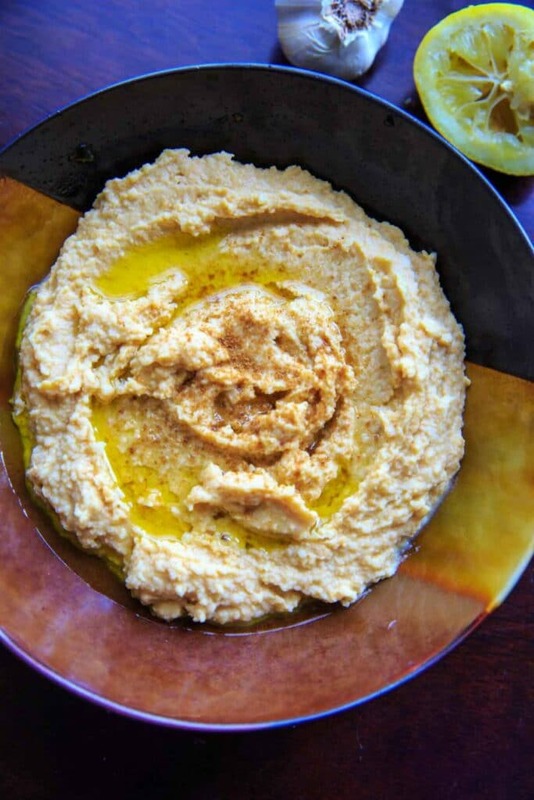 Lemon Garlic Hummus is a quick and easy, vegan and gluten-free snack dip for all your favorite crackers or veggies! 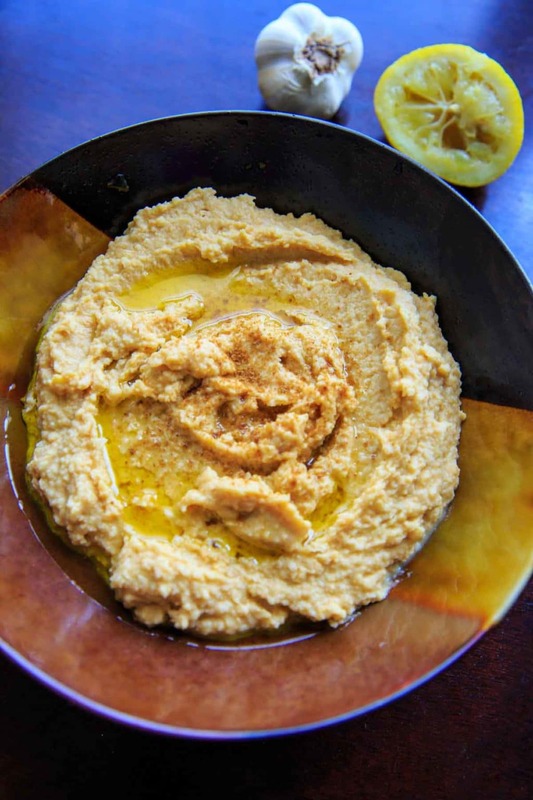 You may remember this lemon garlic hummus from these delicious lettuce wraps, but there are a couple extra toppings if you want to serve as a dip! The thing with flavoring hummus is that sometimes you feel like a lot of flavor, and sometimes not so much. So I recommend starting with 2 tablespoons of lemon juice and 2 cloves are garlic and then tasting to see if you want more. It only takes a minute to blend everything up in the food processor! This is where you should give it a taste and see if you want a stronger lemon or garlic flavor, or maybe a pinch more salt. Once you finish that, scoop it all in a bowl. Adding more olive oil as garnish always seems to make people want to dive right in! Since cumin is my favorite spice, it’s no surprise I added it here too. AND, as long as you have organic lemons, you can grate some of the zest on top too. 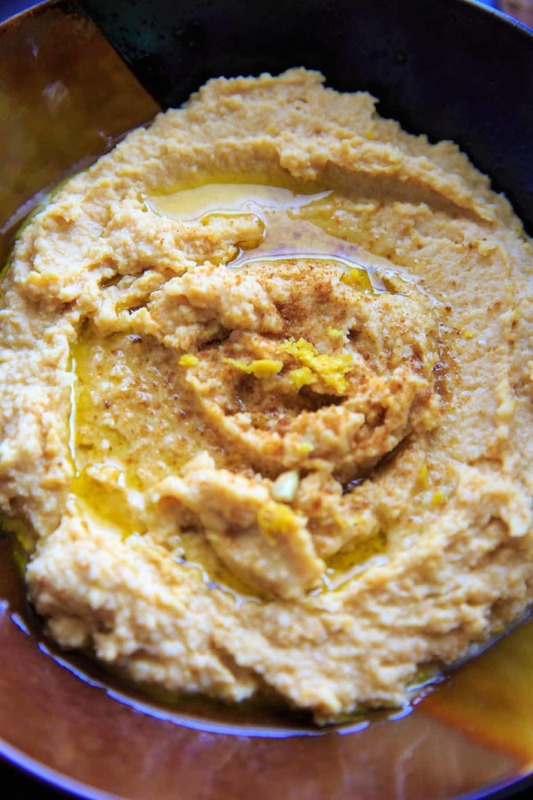 In a food processor, add rinsed garbanzo beans, olive oil, lemon juice, garlic, tahini and salt and blend until smooth. Taste and see if you would like to add more lemon juice (or garlic). Garnish with more olive oil, lemon rind, and cumin if desired. Must make this weekend! I have everything including the organic lemons! 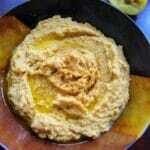 Homemade hummus is so much better than any store bought version I’ve tried. Sometimes I add Greek yogurt for a creamier texture and top with extra toasted sesame seeds for crunch. Those are great tips! 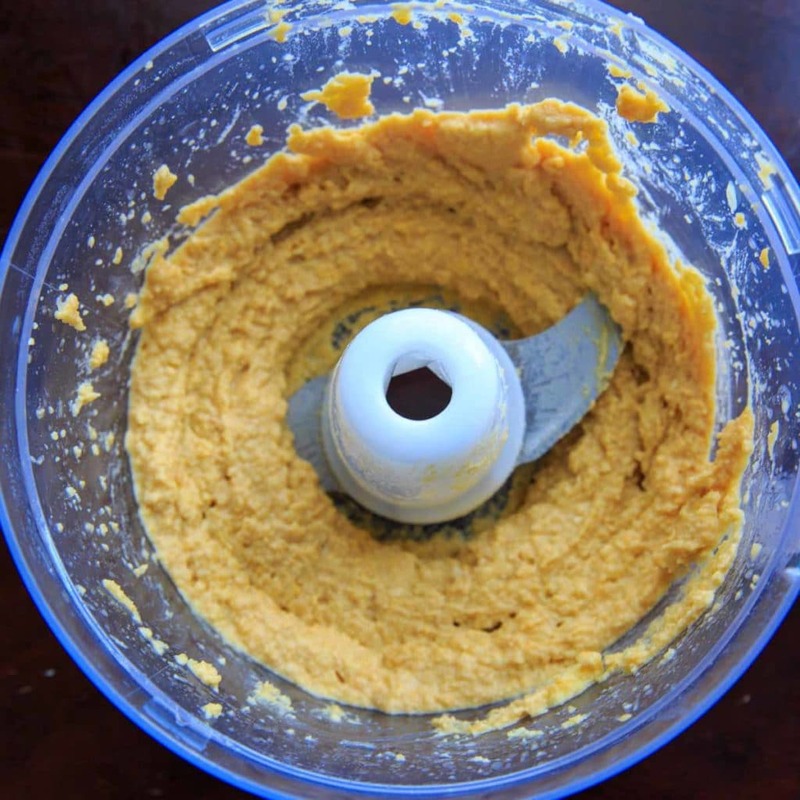 Homemade hummus for the win!